PANJIM: With the Corporation of the City of Panaji (CCP) terminating the contract for clamping of wrongly parked vehicles in Panjim, the capital’s streets have become free for parking all over again. While CCP is making efforts to ease traffic chaos and haphazard parking in the city, ending the clamping contract will cause further problems as the responsibility of maintaining traffic discipline is now solely with the traffic cell of Goa Police. The move to cancel the contract came when around 17 CCP councillors submitted a memorandum to Chodankar demanding that the contract for clamping of vehicles be revoked. 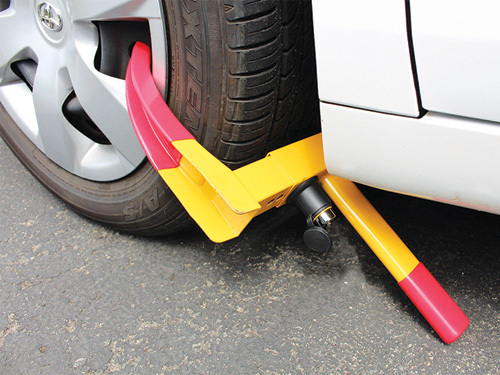 Following continuous pressure from certain councillors, CCP resolved to discontinue the tender awarded to a private party for lifting/towing/clamping vehicles wrongly parked or causing traffic hurdles within the jurisdiction of the corporation. Councillors had claimed that it was a matter of making money for the contractor and was affecting people of Panjim. Councillors said that in the past six months they received several complaints from people due to the high rates charged by the agency. They also stated that there was only one tender which was received and awarded, thus claiming the agreement was one sided. The clamping contract had been awarded as traffic indiscipline in the city was growing, as situation that is now returning. Now, the traffic cops will tow vehicles to the police station and after payment of chalan, the vehicle will be released.